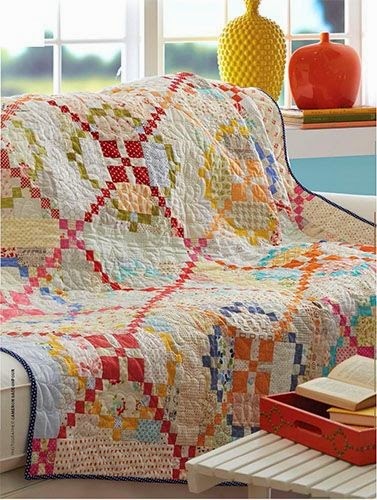 Great news, the first pattern for the Fat Quarter Shop's Snapshots Sew Along is available! The wait is finally over. The first block is named Let Them Eat Cake. The pattern uses a green print fabric for the cake stand but I substituted the pink fabric from an earlier Bonnie and Camille line for my cake stand, because if I really had a cake stand it would be pink. I cut and pieced this block in an afternoon, the directions were easy to follow and the block easy to piece. 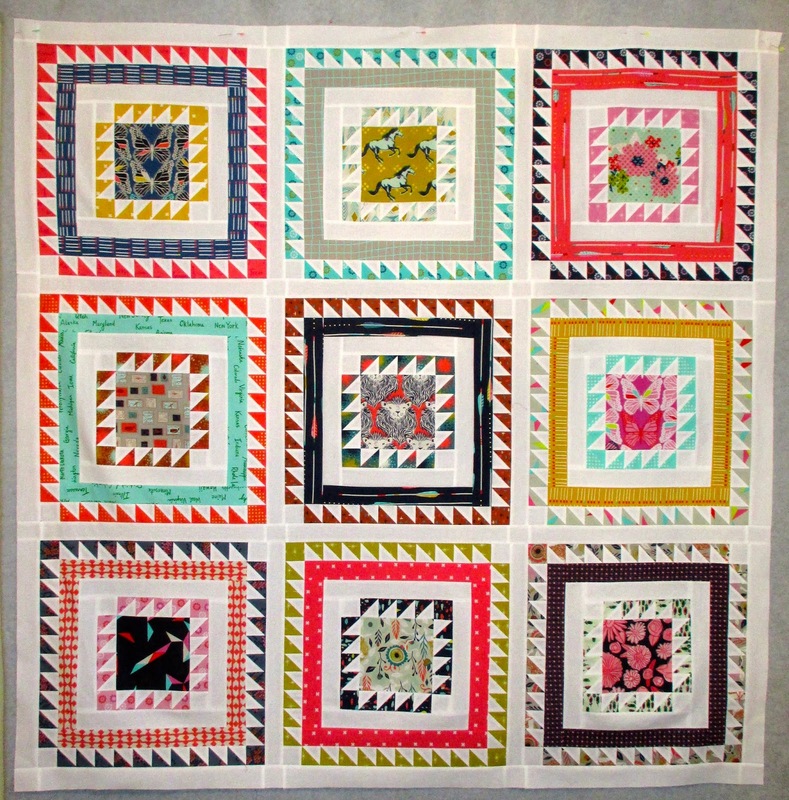 Kimberly at the Fat Quarter Shop has released a video tutorial for this block. Link to video, click here. The Let Them Eat Cake pattern is available here. 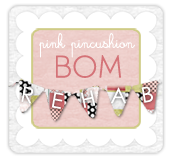 Link to pattern, click here. The pattern is a free download, but the Fat Quarter Shop is asking for a donation of at least $5 for the pattern to St. Jude Children's Hospital. Link to donation page, click here. 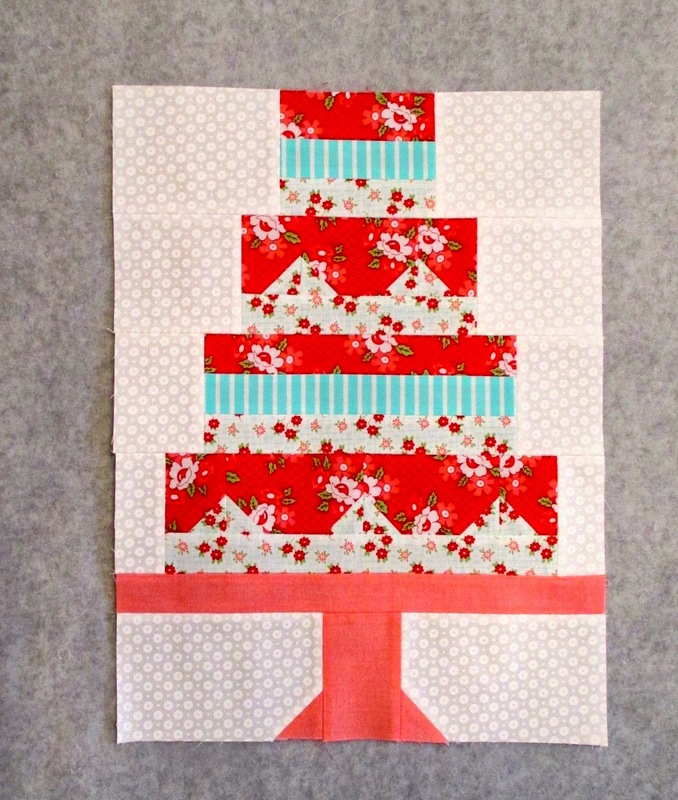 Be sure to post your finished block on your blog or twitter, instagram or facebook using #fqssnapshots. I'll be looking for your block! The blocks are done! 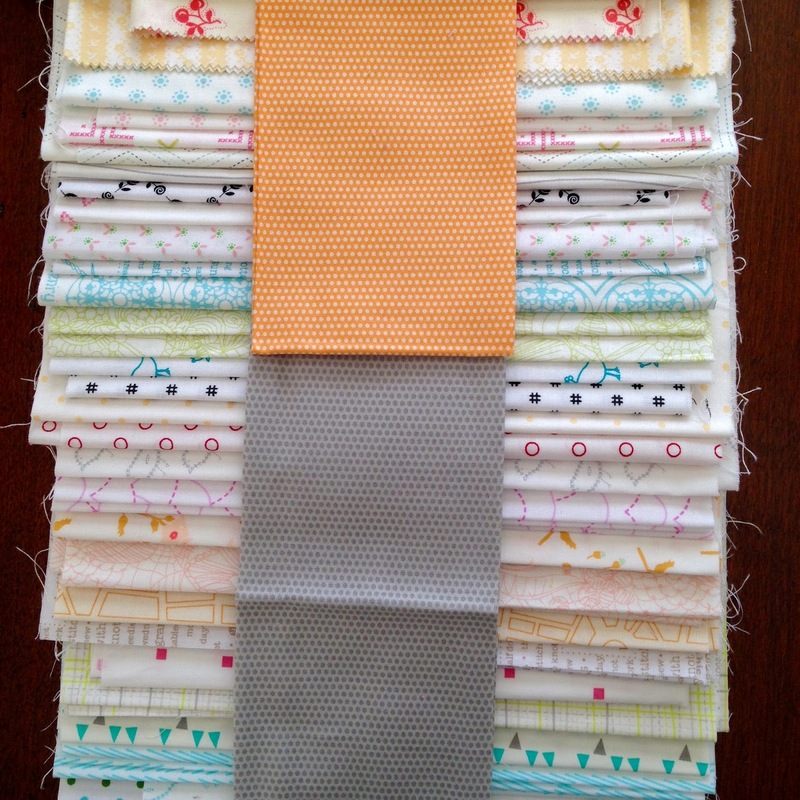 I enjoyed mixing and matching the fabric for each block. Picking the centers was probably the hardest part. I plan to add some sashing and a border of some sorts, but so far I'm very happy with how this project is coming together. I think it's an interesting quilt. I've made prettier quilts, but given how unusual this fabric is, especially for me, I'm pleasantly surprised how much I like it. So after blogging about all the quilt patterns waiting for my attention in 2015, my first quilt of the year doesn't even have a pattern. How did that happen? Well I've been anxious to make a quilt using the Cotton and Steel fabric that was released last year. As you may remember, it takes me awhile to warm up to fabric, usually it takes so long that it's no longer available by the time I decide I do in fact like it. That was definitely the case with the Cotton and Steel fabric. The colors were a little different for me, the scales of the prints were varied and even a little on the large side, some of the pieces had gold metallic prints and worst of all, there were animal prints! I'm not one who enjoys hacking up animal prints, one eye here and one ear over there, peeking out at me in a quilt, it gives me the creeps. And honestly, my least favorite of all animal prints is horses, I have no idea why, I love horses, the real ones, running across a field or down the stretch in the Kentucky Derby, horses across my quilts, nope, that just didn't suit, or so I thought. So once I decided I did like the Cotton and Steel fabric, and had some delivered to my house, I knew I needed a pattern that would showcase the prints, individually. I knew they would look OK mixed together, all scrappy, and I may still do that with some of my leftovers, but for this first Cotton and Steel quilt I wanted to be able to see the prints, horses, and eyes, and all. I saw this quilt block in an antique quilt. I sized the block to fit my preferences and the fabrics. The center block finishes at 6 inches, each row finishes at 1 1/2 inches, giving me a block that finishes at 18 inches. I plan to make 9 of them. Amazingly I'm enjoying the horses and the eyes and even the metallic prints. So 9 blocks, using 4 different fabrics for each block, will enable me to use 36 different prints from the Cotton and Steel line. That's not even half the prints, but it's a good start. Just like I think this project is a good start to my year. this is the first one . . .
And I intend to remind myself to do just that. The second resolution is to unsubscribe to one email solicitor every day. I go to bed thinking I'm caught up on reading email and then wake up to over 30 new emails the next morning. I hear from some businesses every day, and I've had enough. There are so many it's overwhelming. That's why I've decided to unsubscribe to one a day, instead of spending an hour or two trying to get rid of all of them all at once. So far it's been painless. 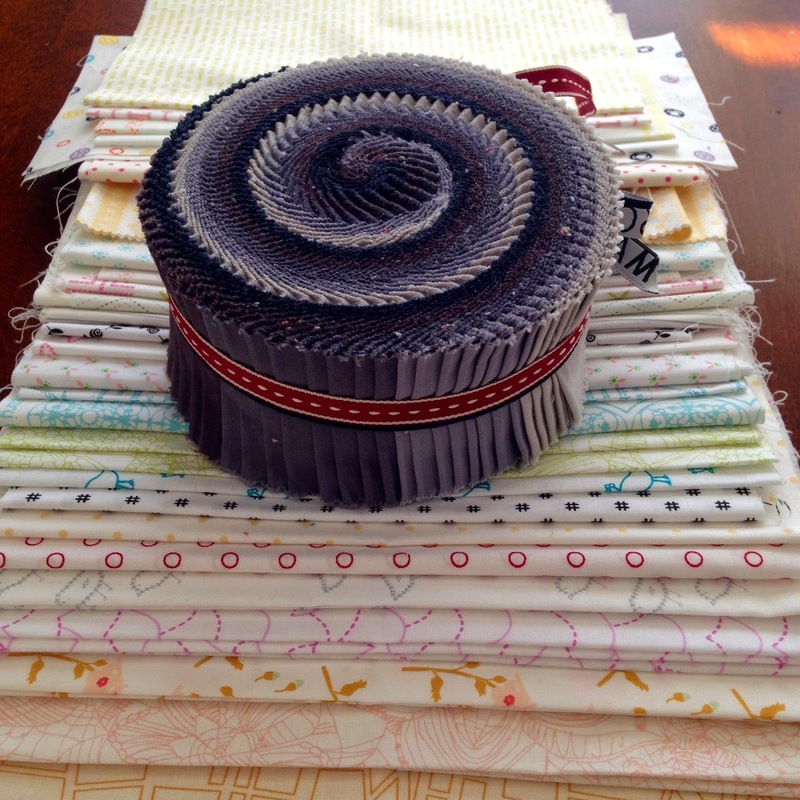 On a quilting front, I don't have resolutions per se, but I do have a few projects that I think would make me happy to work on. 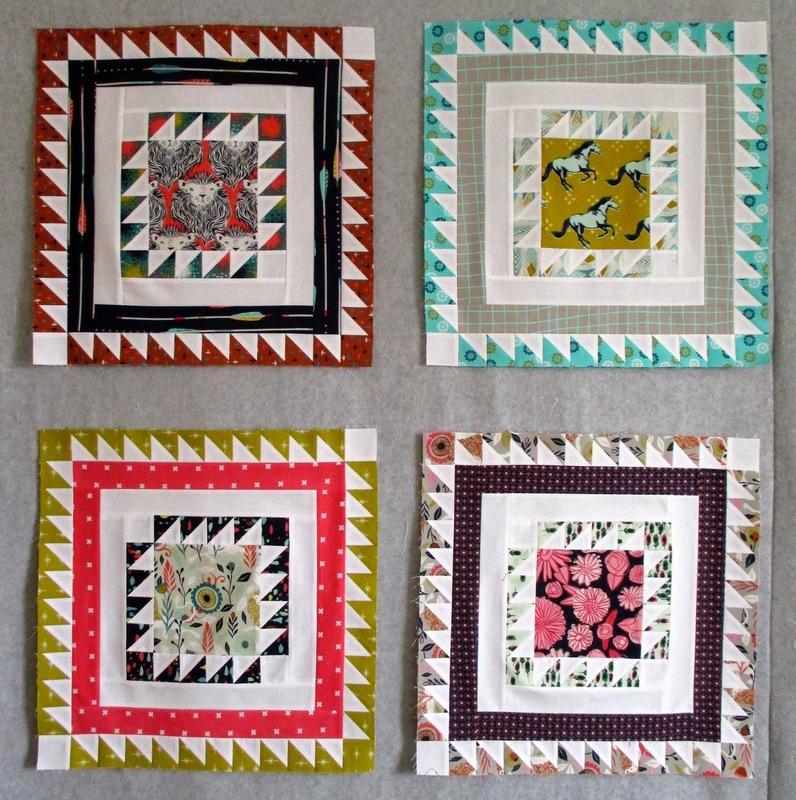 I am participating in the FQS Snapshots Quilt Along. 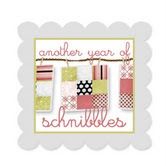 It's a fund raiser for St Judes, uses adorable fabric, and has the cutest blocks I've ever seen. It's a win, win, win. I hope you'll join the fun. I have a new space between the kitchen and living room where I'm now hanging quilts. I could use some quilts for that space, something around a 52" x 52" size. This quilt by Cindy Lammon finishes at 42" x 42" and is high on my list of projects to finish this year. 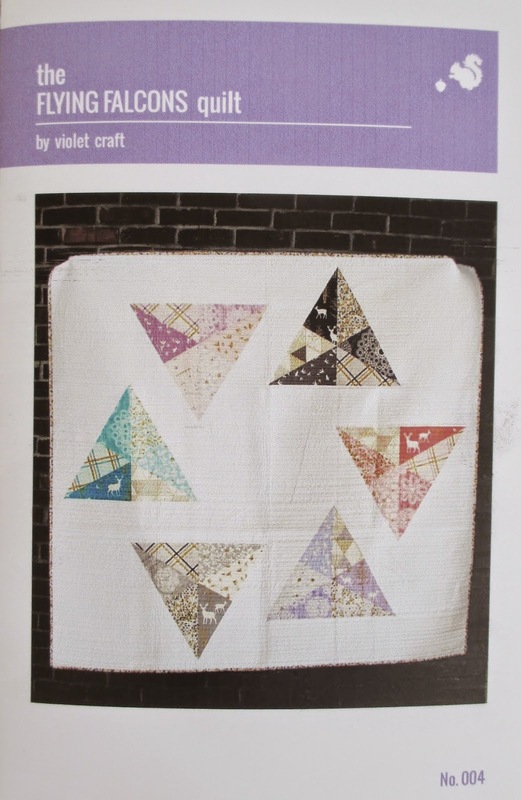 The pattern is in the November/December 2014 McCall's Quilting magazine. The majority of the fabric in my stash is fat quarters and this pattern needs some yardage, I'll need to do some shopping before I can start this one. 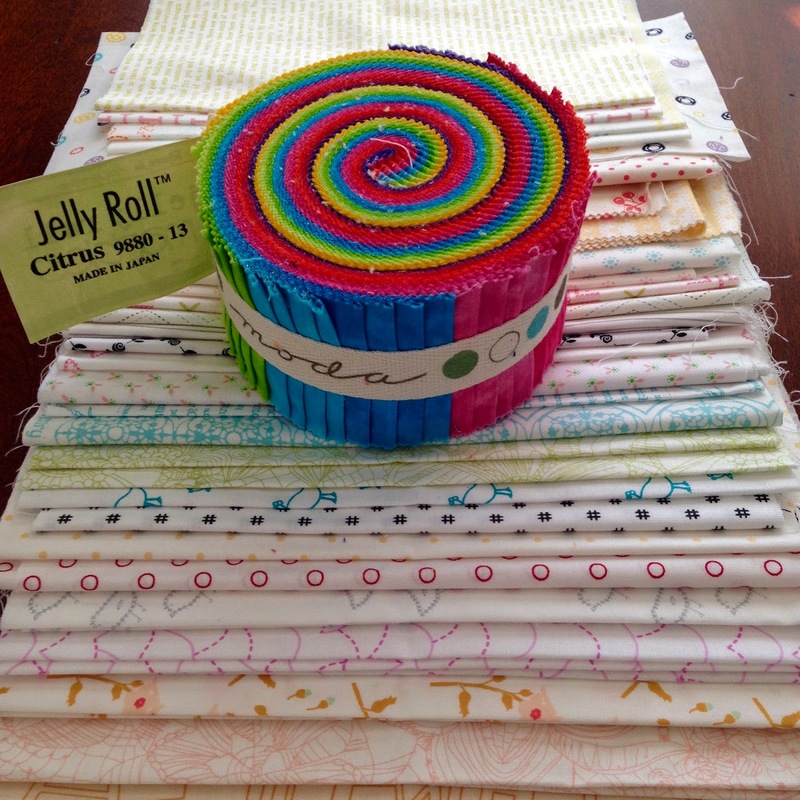 This year I'm going to piece a pattern designed by Edyta Sitar of Laundry Basket Quilts. I follow Edyta on Instagram, every day she posts a picture of one of her quilts, I love them all and am hoping this is the year I make one. I think Brigitte Heitland's Zen Chic patterns X's and O's and Write on White are amazing. I think Write on White would work with any style and color of fabric, X's and O's is made using Reel Time by Zen Chic for Moda and should be available in April, I'm not sure I can wait that long, I may go with something else. 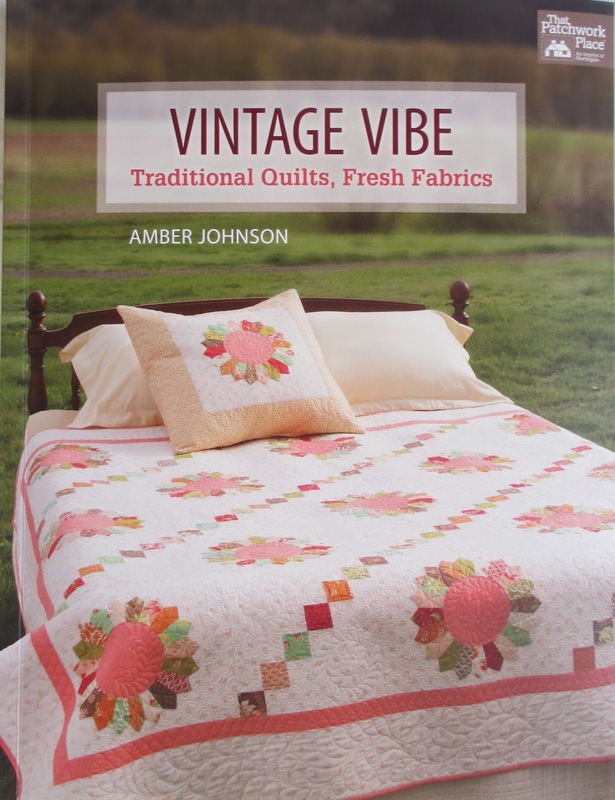 There are several patterns in this book by Amber Johnson that I like. And I saw this quilt hanging in a shop, no Y seams are used to piece these large wedge blocks. The Flying Falcons quilt is by Violet Craft. I have no idea what fabric I would use, something to think about for sure. And I've fallen behind on my Thimble blossoms patterns. I hope I get a few of these done before Camille cranks out a dozen more. So that's whats floating around in my head for projects, but I'm very flexible and always open for a sew along or something new and different. What are your plans for 2015, maybe I'll join you?